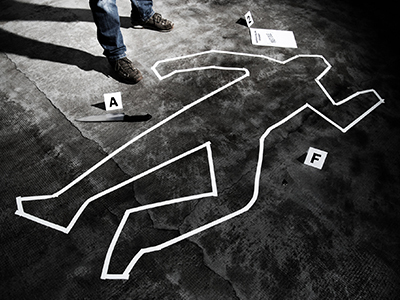 Crime Scene Investigators are a group of professionals who are instrumental in solving crimes. Their primary responsibility is to aid law enforcement by collecting, analyzing, and documenting all physical evidence that can be gathered from a crime scene. In order to become a crime scene investigator, you need to study forensic science, as crime scene investigators are a type of forensic science technician. The minimum educational requirement you must meet is holding a bachelor’s degree in natural sciences or forensic science. However, the higher your degree qualifications, the better your job prospects will be. If you are interested in learning more about a career in crime scene investigations and what requirements you need to satisfy to pursue this career, read on. CSIs are integral to the law enforcement process. Their primary responsibility is to help investigate crimes by collecting and analyzing all physical evidence which may help convict a suspect. Evidence that CSIs are concerned with collecting includes body fluids, hair, skin, tissue, etc. Once they gather all of the evidence they can find they will take it to a laboratory for further examination. Collecting this evidence is essential in order to solve crimes and acquit or convict persons of interest. In order to become a crime scene investigator, you will need to meet certain educational requirements. Typically, individuals who pursue a career in this field have a minimum of a bachelor’s degree in natural sciences such as chemistry or biology. Due to the competitive nature of the job, it is recommended that you have further educational qualifications such as a graduate degree in the field. This will help you stand out from a pool of applicants. To start out in this career, you need a minimum of a bachelor’s degree in natural sciences. This could include chemistry, biology, or forensic science, if your university offers that option as a major. The master’s program in forensic science is designed to give students advanced knowledge and a wealth of hands on training in crime scene investigation. Students will learn a plethora of skills and techniques which will be invaluable on the job. They will also learn about investigation techniques, how to properly report your findings, and crime laboratory methodologies. Ph.D. programs in forensic science are intended to equip individuals with specialized knowledge in the field. These programs are interdisciplinary and will encourage critical thinking in order to solve the complex problems that CSIs face. A dissertation is an essential component of this program. In addition to making sure you meet all of the various educational requirements for becoming a CSI, you will also need to undergo training once you start your job. Forensic science technicians must all go through a period of supervised on the job training before they can take on cases independently. This includes helping experienced investigators carry out their duties and observing how certain things are done. This is an excellent way for new CSIs to learn the proper methods, techniques, and procedures which are involved in the collection and documentation of evidence. Due to technological advancements, training is typically an on-going process. Therefore, most CSIs will undergo on-the-job training very often over the course of their career. A crime scene investigator is a professional who is a forensic science technician. A forensic science technician is someone who aids in criminal investigations by collecting and analyzing evidence from crime scenes. They can either devote their time to crime scene investigations or laboratory analysis. Is the on-the-job training required?